Ottawa Community Housing has joined the growing number of housing providers who are adopting a no-smoking policy. The organization, the largest social housing provider in Ottawa and the second largest in Ontario, provides affordable housing to more than 32,000 residents. Over the past two years, OCH conducted a comprehensive study that helped guide its course of action on the no-smoking policy in its buildings. The study revealed a significant majority of households support smoke-free housing. The no-smoking policy will apply to all new residents and will prohibit smoking on OCH property. Current tenants will be encouraged to voluntarily comply but will be ‘grandparented’ until they choose to move out of their current unit. 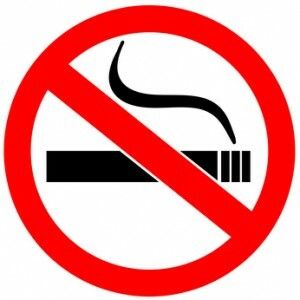 New tenants will be required to sign a tenancy agreement that includes a no-smoking clause. The policy will not prevent smokers from living in OCH communities nor will it require smokers to quit although the organization will work closely with its partners to engage in successful strategies to assist smokers who wish to quit. In addition to the health benefits of a no-smoking policy, the organization says it hopes to reduce the risk of fires and expects it will cut the time and cost of renovating smoke damaged units upon turnover. Ottawa Public Health has offered to help people who wish to quit smoking. Next post: Should More Calgary Landlords Accept Pets?